On March 24, 1944 the German gendarmes murdered eight Jews from Szall and Goldman families, as well as their Polish hosts, Józef Ulma and his 9-month pregnant wife Wiktoria Ulma, who were hiding the Jewish families in their house in the Polish village of Markowa (Podkarpackie Province). 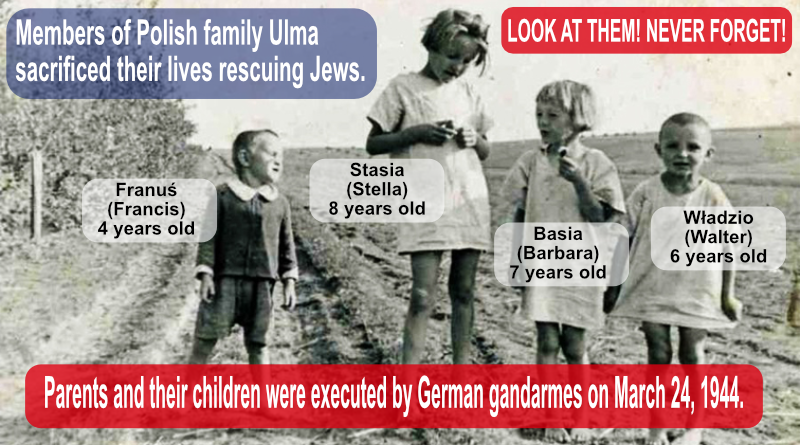 The Germans also killed all six Ulma’s children: the eldest Stanisława, who was eight at the time, Barbara, Władysław, Franciszek, Antoni and Maria. The Ulma family from Markowa became a symbol of heroism and sacrifice of the Polish people during the World War Two. Józef Ulma was born in 1900. He was an orchard owner and a bee and silkworm breeder. He was a local leader, a librarian, a devout Catholic, and a member of ZMW “Wici” (Peasant Youth Organization). Photography was his passion. The Catholic Church is in the process of beatification of Józef and his family. A museum established in honor of Poles who saved Jews and named after the Ulma family was opened on March 17, 2016. The visitors to the Ulma Museum can find out how many Poles saved Jews during World War Two, despite the danger of a death sentence for providing refuge or any other form of help. Memorabilia and documents from all over Poland documenting the heroism of the Polish people in rescuing Jews are exhibited in the Museum. According to historians, only on the territories of today’s Podkarpacie Voivodeship around 1,600 Poles offered shelter to about 2,900 Jews during the German occupation of Poland. Germans murdered at least 200 of them, just for helping Jews. 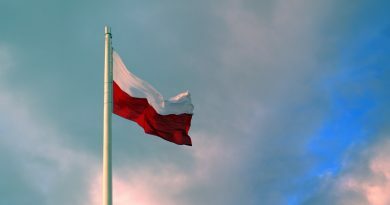 In tribute to Polish citizens, who rescued their Jewish neighbours from the Holocaust planned and implemented by the German occupiers, March 24 officially became the National Day of Remembrance of Poles who saved Jews from the Holocaust during World War Two.